In November over 30,000 Irish People gathered at our coasts to pray the rosary to preserve Life & Faith in Ireland. 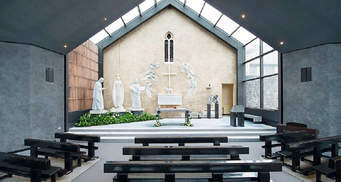 Now we turn to our Mass Rocks and Ancient Monastic Sites, on Sunday March 18th, at 2.30pm, to pray the rosary, and ask our deceased brethren, who risked their lives for the faith, to intercede for Ireland. Sign up a location at www.coastalrosaryireland.ie. The programme includes an acceptance of Jesus as King of Ireland. For this we use the formula given to Rozalia Celak in an apparition approved by the Polish bishops. Rozalia will be beatified this year. Our Lord promised to spare Poland from the devastation of WWII if the consecration was made. It was not. However on the Feast of Christ the King 2016 the bishops of Poland with the country’s president made the solemn consecration declaring “Jesus King of Poland”. A growing number of people are discovering and experiencing the joy and peacefulness of dance meditation as a regular spiritual practice. Dances will be chosen to suit this holy season and will serve as a lovely experiential preparation for the holy days ahead. Join us to experience beauty, music, spirituality, healing and engagement with the wondrous dance of life, death and resurrection. “He emptied himself, taking the form of a servant” (Phil. 2:7). Remembering Anthony de Mello SJ, this series of evenings will be based on some of de Mello’s basic principles for wholesome living, using guided meditations and fantasy exercises. The use of imagination, awareness exercises, group discussion and creative visualisation helps to awaken greater awareness of our giftedness and to open up new pathways to God. No booking required, come along any evening. Join artist Róisín de Buitléar as she shares the ideas, design process and development behind her commissioned work ‘Pilgrimage’ for Knock Basilica. The two glazed halls at the entrance to the Basilica were completed over a two year period in collaboration with the Shrine and award-winning Architects, A&D Wejcherts, Dublin. Our dreams have fascinated us since the dawn of history. Where do they come from? What do they mean? Is it possible to work with dreams? Should they be taken seriously? Should they ever be taken literally? Are they merely the exhausted wanderings of the nocturnal mind? These are some of the questions dealt with in this fun and very down to earth introduction to dreams and to dreamwork. We start with the Bible and ask how is it that dreams went out of fashion so early in the Christian story? Then we explore the surprising part that dreams have played in the history of science. Inevitably, we take a look at the work of Sigmund Freud and Carl Jung and their consideration of the interpretation of dreams. Symbolism in dreams is another topic that is touched upon, along with dreams and spirituality and dreams and personal development. Finally, we look at very practical ways we can work on our dreams. Dreamwork can make an enormous contribution to our psychological and spiritual growth. However, it involves a long-term commitment to work and it is not a shortcut to perfection. It is work that can be done alone, but undoubtedly, it is work that is best done with a competent and qualified person. Sometimes people wok on their dreams in groups and this too has proved to be an effective approach. During this program, however, it is unlikely that we will have much time to spend on the dreams of individual participants. Bunófar an tsraith seo cainteanna ar ábhar an leabhráin Muire na mBard. Léirítear stádas na Maighdeana Muire san fhilíocht chlasaiceach sa leabhrán seo. Pléifear gnéithe éagsúla den gcur chuige sna cainteanna. Beifear ag díriú ar an dtaobh is sothuigthe agus is coitianta den ábhar seo. 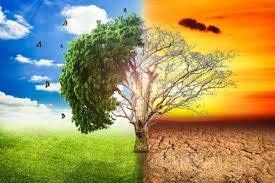 The Church and Society Commission (CASC) of the Church of Ireland is issuing an invitation to church leaders and their congregations from all denominations to attend an information morning addressing issues surrounding climate change. It will conclude with a light lunch at 1pm. Attendance is free. Places are limited, and will be allocated on a first-come/first-served basis. 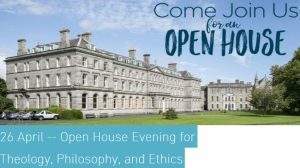 To secure a place, please email [email protected] or contact Caoimhe Leppard in Church of Ireland House, Dublin, 01 4125608. Information on how to find the Science Gallery, Trinity College, can be found here https://dublin.sciencegallery.com/find_us. Workshops and classes will reflect the events planned for each of the three days of the Congress of the upcoming World Meeting of Families in the RDS from August 22 to 24. Over 100 singers and musicians from around the country are expected to attend the 49th Annual Irish Church Music Association’s Summer School in Saint Patrick’s College, Maynooth from tomorrow Wednesday 27 June to Saturday 30 June. The theme of this year’s summer school is Faith, Hope and Love and will reflect the events planned for each of the three days of the Congress of the upcoming World Meeting of Families in the RDS from August 22 to 24. Bishop Donal McKeown of Derry will celebrate Mass on Friday evening at 5pm and afterwards will launch a collection of Mass settings in Irish by Irish composers. Commenting ahead of the summer school Father Turlough Baxter, chair of the Irish Church Music Association, said: “This year we are building up to the historic visit of Pope Francis in August. Many of those involved in preparing the liturgy and music in parishes around the country will be preparing various events to prepare for this and the World Meeting of Families, and we hope that what we have to offer will be of help to all. 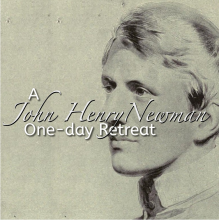 “The Summer School will begin tomorrow, and the Evening Prayer that day will be based on the liturgy that is to be celebrated in each Cathedral throughout the country to begin this historic event. “On Friday Derek Mahady will give a workshop to introduce the music that will be used for the Morning Prayer and Masses in the RDS, as well as at the Papal Mass”. To add to this organisers are delighted to welcome John Bell from the Iona Community and also Philip Stopford, who will be present each day and will lead a standalone masterclass on Saturday. Those who wish to only attend this will just have the music for that day as part of their pack. Last year An Leabhair Aifrinn (the Roman Missal in Irish) was published and to mark this initiative the ICMA school has invited John Jones to present a workshop of music in Irish. Some of this will be used for the Eucharistic Celebration on Friday evening. Tomorrow evening, in conjunction with Saint Patrick’s College, Maynooth there will be an Organ Recital with Sebastian Heindl. On Thursday night Our Lady of Victories Gospel Choir, directed by Ciaran Coll, will perform. The choir is ten years old this year and has just launched a new CD. On Friday night the school is hosting a “Come and Sing along Messiah”. This will be directed by Philip Stopford. 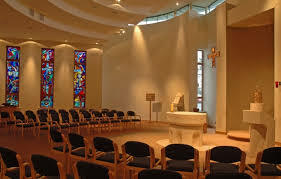 focusing on the family held at Knock Shrine. It will include four events each day. the message of Pope Francis to families, as we prepare to celebrate his visit to us in August. 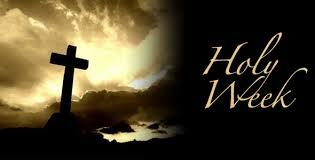 Prayer times will include Mass at 3pm and Holy Hour at 7pm. The blessing of young children will take place on Saturday morning July 21th at 12 noon. 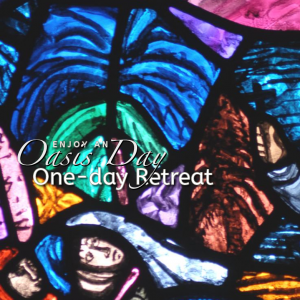 There will be two 20-minute sessions daily at 11.05am and 7.05pm and also a preached retreat each day in the Prayer Guidance Centre and Mass at 3pm in the Basilica. Each day will focus on a different theme. No booking necessary, all welcome. This weekend will be led by Donal Dorr and will guide participants in experiencing and expressing their faith and commitment in a way that takes account of our new earth awareness. Donal will lead the group through a reflection on how the ‘ecological conversion’ which Pope Francis has called for, will influence the way in which we express our faith in God, in Jesus, in the Holy Spirit, in the Christian Community, the Human Community, and the Community of the Earth – and how we commit ourselves to live out our ecological conversion. Donal’s hope is that this reflection and sharing will energize us all in living out a spirituality which we find personally inspiring and nourishing, and which we can share with all with whom we come into contact. Participants will be offered time to consider, reflect, notice and respond to the material offered. 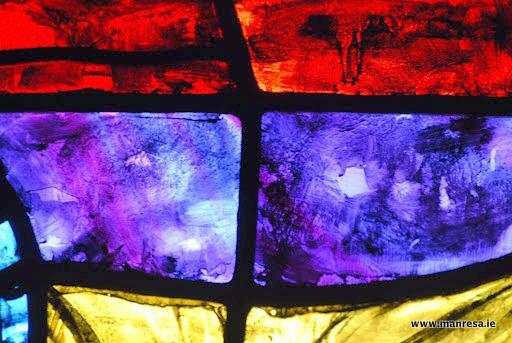 The weekend will be guided by Donal’s theological insight and its setting of the weekend in Manresa will draw on the opportunities of the biosphere reserve, places of prayer in the retreat house and the Ignatian tradition of spiritual conversation. This weekend will reflect on themes of the greatly appreciated 2016 weekend “Our Common Home” which Donal offered in Manresa in October 2016. Donal Dorr is a theologian and missionary priest who has served as a consultor to the Pontifical Council for Justice and Peace and as a resource person for the Irish Missionary Union. These quiet days from Thursday evening to Sunday afternoon will be an opportunity to enjoy Manresa’s lovely surroundings. 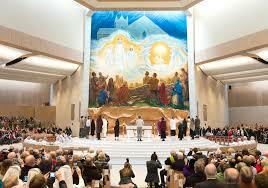 There will opportunity, for those who wish, to meet individually with one of the spiritual directors. 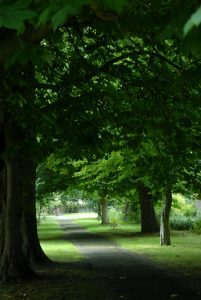 We are also near the sea and the extensive grounds of St Anne’s Park. As part of the festival celebrating our heroes Féile na Laoch, including St Patrick, Seán Ó Riada and of course many others, next Sunday 29th July 2018 In Cúil Aodha is given over to many exciting holy events…beginning with Mass at 10 in the famous church of Cúil Aodha, birthplace of the world-renowned choir, Cór Cúil Aodha with Peadar Ó Riada leading. Pilgrimages to the local holy sites associated with Saint Gobnait and Saint Abáin and to Guagán Barra, linked to Saint Finbarr in the 6th century, will take place in the afternoon. Vespers and” Ceol den scoth” or top class music follow. Check out Peadar O Riada’s website for details of the entire Féile na Laoch on Clár Féile na Laoch. Sunday’s events at Féile na Laoch should not be missed by anyone lucky enough to be in the vicinity of Ballyvourney or Cúil Aodha, Co Cork this weekend. Just thought this inspirational series of holy events needed publicity! overseas volunteers. It can be the start of a hugely rewarding journey. About two thousand Irish people travel abroad annually to volunteer on development projects, mainly in Africa, Asia and Latin America. These placements can be one month or longer, and are tailored to all different skill sets. Thirty five organisations will exhibit at the Fair, including Concern, VSO, Goal, EU Aid Volunteers and many others. The organisations attending have signed up to a set of volunteering standards, ensuring that the contributions of volunteers have a positive impact for the local project and community, the volunteer and the sending organisation. These organisations offer many opportunities: find one that interests you! “The volunteer fair was a great opportunity to tell interested people about our overseas volunteer opportunities for 2018, and the people I met were on a mission to find the right placement to fit their skills and the place in the world they want to go to and the time they have available”. Rose Hennesy, Brighter Communities Worldwide.